DAVID LE/Staff photo. 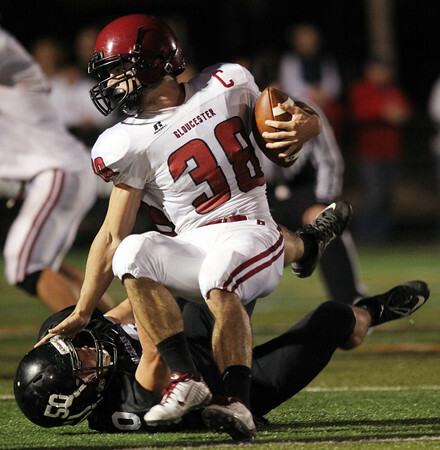 Marblehead senior Bryan Graf (50) drags down Gloucester captain Alex Enes (38) for a loss of 5-yards. 11/6/15.